Monday – Day three of the weekend. This morning I booked the last place for my trip to Prague and Budapest! So everything is set and now I just have to wait for March 9th! I also went to the Wallace Collection – again – because my next art history paper is a comparative essay. I cannot do the same medium as my previous paper so I cannot do paintings. I found two cabinets, made 100 years apart. One is by Boulle and the other is inspired by Boulle. I think I’ll be able to write 2,000 words on that. Tonight, I went to another football match! (see what I’m doing there? using the local lingo). I went with my friend Marni who had an old boss, who had a friend that …I think partially owns West Ham United? Either way, they were able to get us great tickets for a great game at not too bad a price. 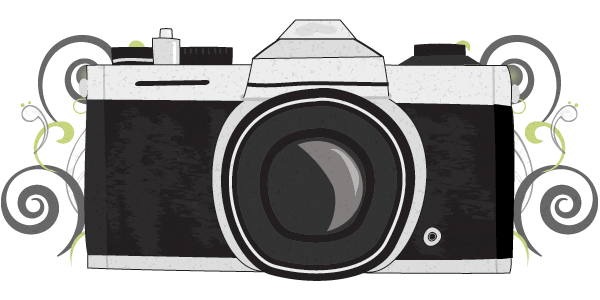 We saw West Ham versus the Tottenham Hotspurs. 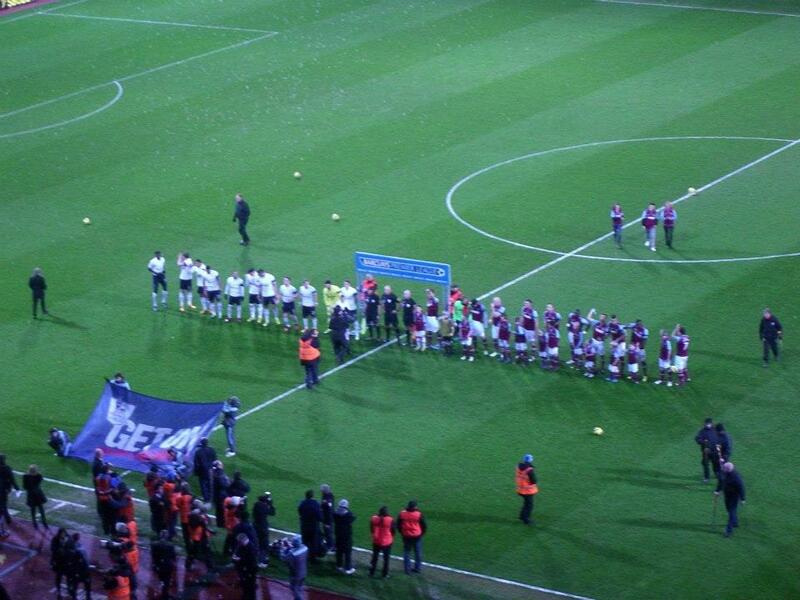 Tottenham is hated rivals with Arsenal…and with West Ham, so it was great to go to a game to cheer against them! The stadium was a million times different than Arsenal. West Ham was not as nice, not as big, not as comfortable. The fans were also very different. No one really wore anything from the team, and they were all super difficult to understand. We were out in East London in Zone 3 so they were heavy on the cockney accent. 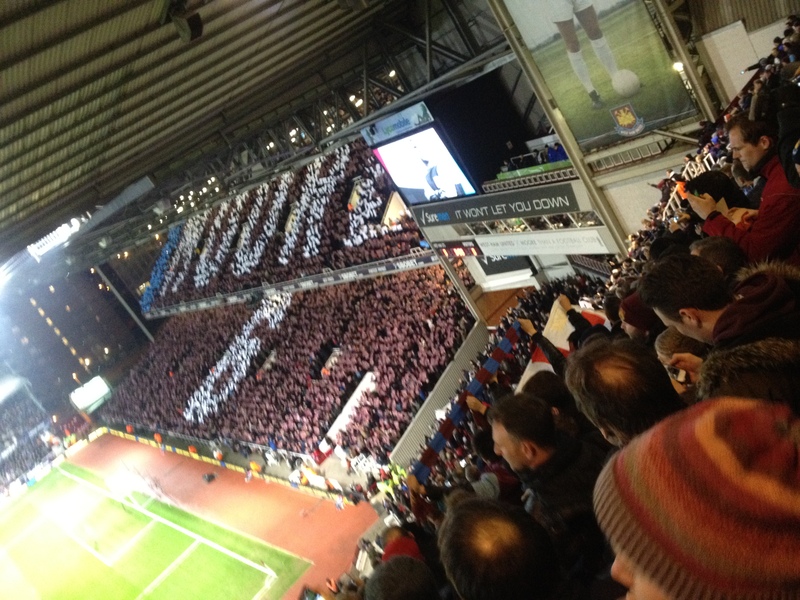 It seriously took all game to realize they were saying, Come On You Irons. I only figured that out after I kept seeing on the screen COYI. 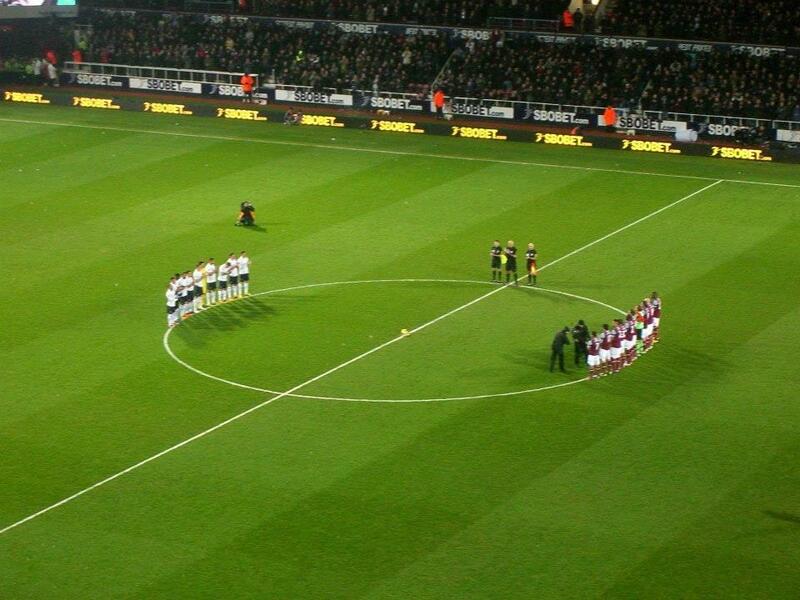 The one cheer I did understand was, Stand up if you hate Tottenham! And everyone gets up and starts chanting along. I’ve heard that one from Anthony and the boys a lot. I was so excited the first time I heard it I shot out of my seat and was one of the first people standing. I think people were staring at me like…who is this American Girl and what is she doing. Oh also, it was difficult to figure out our tickets and where to go. We asked an official person for help, the guys that wear the bright orange vests and showed him our tickets and said…where do we go? And his response was, Home. I laughed, and he laughed and pointed us the right way but for a second I thought…uh oh. Also, in our row were some people that also got tickets from Marni’s boss and the man said to us, one of you is American..as his introduction. I said, we both are. Then he sat down and asked, so do you know who you are suppose to route for or should I tell you the team colors. And I responded…I know what I’m doing thanks. I wanted to tell him I’ve been playing soccer since I was four and wanted to ask the last time his fat foot touched a ball. Also getting out of the stadium was a bit nuts, as was getting back on the Tube. They have a police officer every ten feet and lots of barriers to lead you the right way but it is still a lot of people going in one direction. We were lucky though and were a few feet in front of the mob and got onto an empty tube car and made it home quickly! I’m happy about all the teams I have seen this past weekend! I’m not sure I’ll get the chance to go to another game while I live here, but I can see myself heading out to the pub to watch some on TV!